An eco-resort that goes to extreme lengths to maintain and preserve natural resources. ‘Sustainability’ has become an increasingly used but generic term today. A lot of supposed ‘sustainable’ materials involve a hybridization that is more resource depleting than befriending nature. As hard as it is to be totally eco-friendly, some take the challenge upon themselves and with the right guidance and support, true gems are created. One such exotic gem is making waves in the deep inerts of Africa. 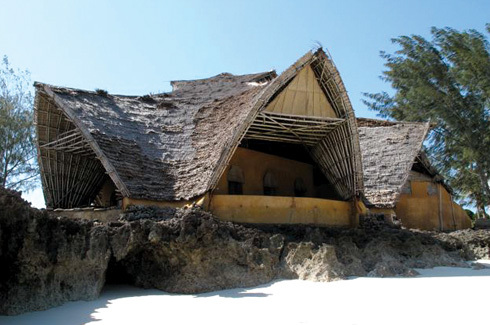 Situated off of the coast of Tanzania, lies ‘Chumbe Island Coral Park’, one of the last remaining pristine coral islands which became the first of its kind certified global ecosphere retreat. Chumbe strives for the highest standards in sustainability through the balance of conservation and commerce while fostering development and cultural stewardship, and has made a huge impact on environmental preservation in that region. The reserve includes a fully protected Coral Reef Sanctuary and Forest Reserve that harbours rare wildlife, a visitor and education centre, historical monuments and most fascinating of all, a fully-functional eco-lodge. 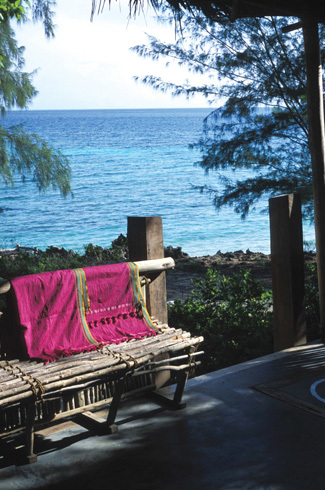 The lodge consists of seven eco-bungalows, perfectly in synchronization with the natural surroundings and enviously located between the beach and the forest. 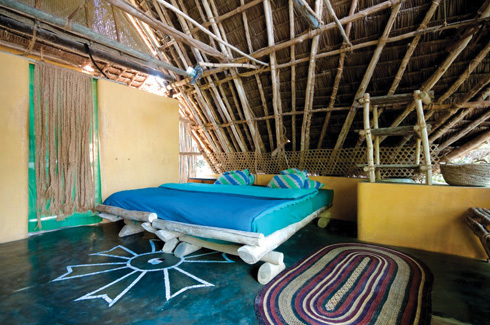 Each bungalow is equipped with a double or twin beds in the sleeping area under a palm thatched roof, a self-contained bathroom, a large living room and handmade furniture. 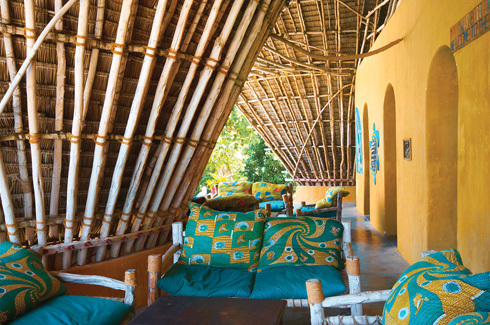 It is further accessorized with decorative native African artifacts, colourful fabrics and a hammock. As there is no ground water source in the rocky substrate of the island, each bungalow collects its own freshwater supply from rainwater during the rainy season. This rainwater passes through a complex filtration system and is stored in spacious underground cisterns. The water is then hand-pumped through a solar-powered heating system into hot & cold-water containers for the shower and basins in the bathroom. The compost toilets decompose human waste quickly and reduce it to a nutrient rich dry matter that is re-used in plant beds. The aerobic composting process is powered by a ventilation system of small wind-wheels fitted on top of long ventilation pipes and ensures that it feels no different to using a regular toilet; except that composting toilets need no flush water at all, thus they effectively economize on water and prevent sewage from entering the reef where it would negatively affect the highly sensitive coral community. Lights are powered by photovoltaic panels on the roof that provide ample environmentally friendly 12V energy for normal usage. The open design of the bungalows, with minimal barriers to the open air, allows for maximum through-draft for cooling; a form of natural air-conditioning. To enhance this, louvers are in place that can be lowered or closed depending on the desired temperature. All buildings and operations are based on eco-technology aiming at zero impact on the environment. The company objectives are non-commercial and the overall aim is to create a live example of an ecologically sustainable operation that promotes eco-tourism as well as comprehensive educational programs for local civilizations.